There are still people who think flooding your social media channels is all you need to do to start a landslide of riches and/or celebrity through a deluge of fans, likes, or followers, but of course becoming successful online is just as much work as it was in the days when print, radio and television advertising were the mainstay, and a successful strategy needs to be planned just as carefully. However, today’s social media tools are as different from yesterdays as the clients they are trying to appeal to and they require a carefully thought out approach because, in the end, being active on LinkedIn, Pinterest, Facebook or Twitter doesn’t mean that much if your work isn’t converting to money, new subscribers and conversations where you build your currency up with a target audience. Here’s a few of the pratfalls our Chicago social media agency can help you to avoid so your social media strategy strands fit together into a well designed net for your niche market waters. First and foremost, you need to be aware not all the social media tools that are available do the same things and are favored by a uniformed audience. For example, Linkedin is one of the best business networking sites on the Internet and a great way to join a series of B2B Lily pads together, but it’s not necessarily the right place for a family dentistry firm in Los Angeles to be advertising. The point here is simple—if you don’t spend the time crafting a message that goes after your target market with the right social media tools, your efforts will be wasted. In other words, one of the biggest mistakes newbies make with early stage social media strategies is casting the net far too wide without much thought about the fish they want to catch. Because we’re a social media agency committed to your success in the modern interactive world of digital advertising, we also warn against social media advertising social media stratgedyefforts that wobble and fail because they don’t stand out. Sure, content is still and will more than likely always be king, but originality is the crown he wears. Everyone is writing and sharing content and the best way to engage prospects is to make yours stand out with a different angle and conversational tone that will turn visitors into sales. Start by injecting some new angles into staid old titles. For example “Five reasons to keep your pet healthy,” and corresponding texts have been overdone and run the risk of being passed over, whereas, “Five undiscovered places to walk your dog in Chicago,” entices the reader to want to know more about you and your product. It’s an opening to start a conversation. Finally, social media strategies that are doomed to fail cling to old school philosophies. Specifically, they flood they flood Twitter, Pinterest and Facebook will offers and calls to action that will turn away schools of potential customers in droves. Asking for feedback is a great way to gauge how well your conversational, valued added content is doing and listening to your prospects in this way is a perfect method to gauge their likes and dislikes. It’s all about talking with them and not at them in the end. If you’ve got any questions about what goes into a good social media strategy and how one works, we’re here to help. 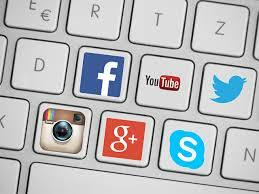 Our social media agency can help craft the individual template that will work for you.